From now until 01/05/2019, as long as you refer a booking client I will send you an e-gift card for $25 to the Alamo Drafthouse. Step 1.) Share this post on social media or by email! You can opt to add the caption “I want to go to the movies on Caitlin McWeeney Photography” so I know you’ve read this post but it’s not required. Step 2.) Your friend or family member inquires with me and mentions your name in the “referred by” box on my website. Step 3.) 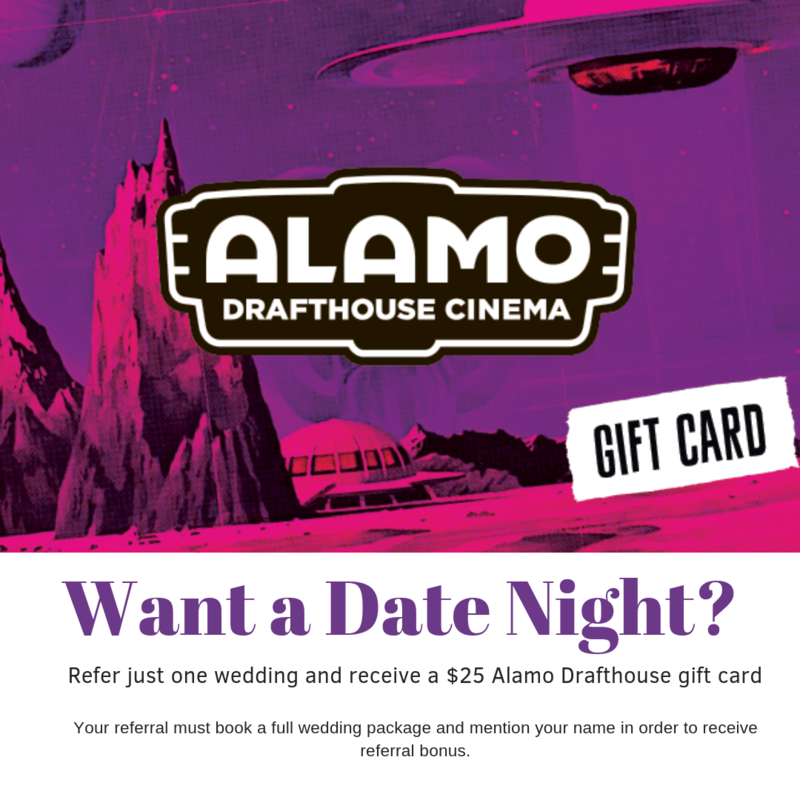 If your friend books a full wedding package for 2019 or 2020 you’ll receive a $25 Alamo Drafthouse gift card. Have any questions? Reach out and let me know. If I refer several people, can I get several gift cards? Yes, the more friends you refer, the amount will increase by $25, up to $100 max. There is no Alamo Drafthouse near me, can I change my gift? Yep! If you don't have an Alamo Drafthouse close to you, you can change it to a $25 Fandango gift card, or $50 off a long portrait session with me (mini sessions are not included). Just let me know your preference before I send it out!